Handmade blank greeting card with hand stamped, silver embossed city scape and a red metallic heart. Gold and white patterned Paper Source paper on taupe grey quality card stock, tied with trendy black and white ribbon. Inside parchment paper is blank for your personal message. 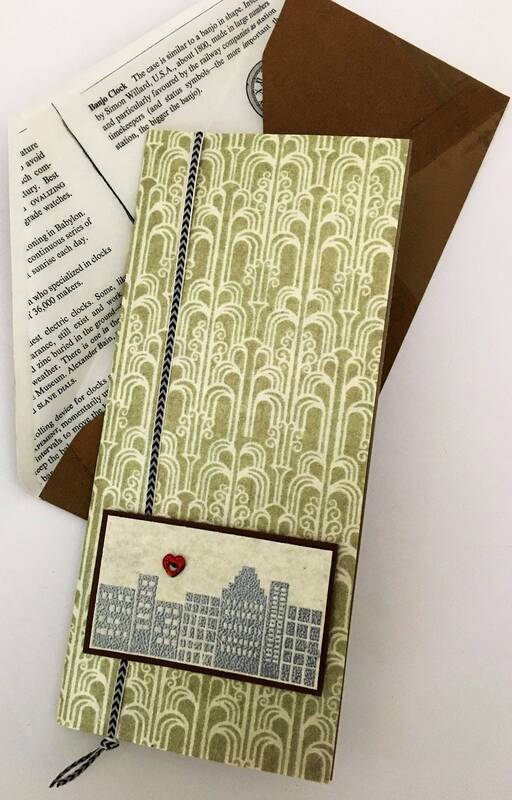 Handmade vintage wallpaper envelope lined with book page printed parchment paper included. If this is to be mailed, extra postage required.